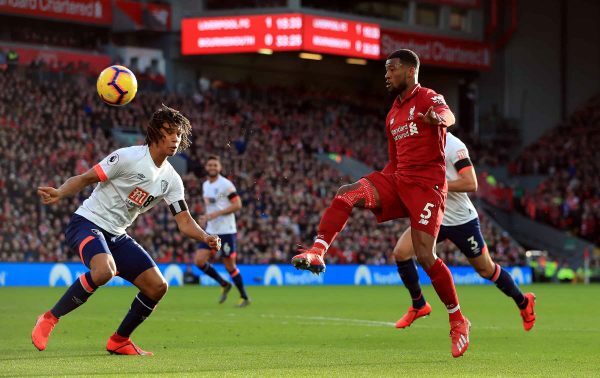 Liverpool’s win over Bournemouth came courtesy, in part at least, of a fantastic midfield display from Gini Wijnaldum, Fabinho and Naby Keita. For much of the season, Jurgen Klopp has had to employ a juggling act in the centre of the park. It hasn’t always been about fitness, but changing tactics and varying form from those who play in midfield. 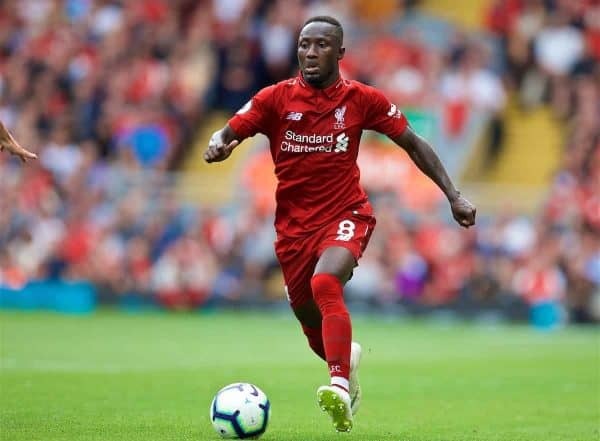 Fabinho and Keita, naturally, took a little time to settle into their respective roles after joining this season, while others have had fluctuating levels of effectiveness or have had to adjust to different roles on the pitch. Against Bournemouth, however, the chosen trio were nothing short of exceptional and Andy Robertson highlighted their impact, telling LiverpoolFC.com that Keita in particular took a significant step forward. “They were different class. On my side, I thought that Naby was excellent. “He has taken a wee bit of time to settle in but today was probably his best performance in a Liverpool shirt. “I’m sure he can take a lot of confidence from that, which he will. The No.8 gave a good showing in the closing stages against West Ham, but it was a much more rounded performance against Bournemouth: winning back possession, showing his creative side and non-stop running throughout. 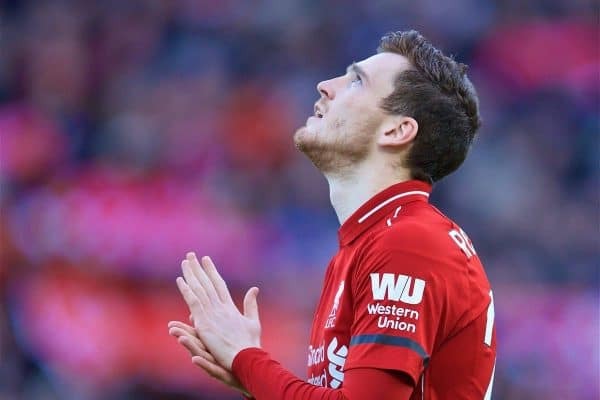 Robertson points out that several players in the squad have needed that similar bedding-in period, and Keita is no different. “He’s young and he’s had to take time. But if you look at all of us, Fabinho had to take time, me, Chambo,” continued the left-back. 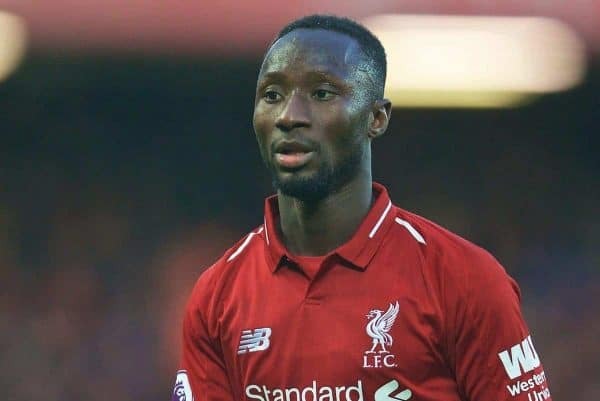 “I think everyone forgets how young Naby is – 24 [on Sunday], he’s only a young boy. He’s a fantastic player and the more he shows it the more people will start talking about him. After such a commanding display from all three, and with them having such a telling impact on the final score, the challenge now is to repeat that kind of display in future games. Liverpool’s defence has been significantly improved this season, while the attack has often been seen as the best part of the team. It has been the centre of the pitch which has needed more time and attention, and perhaps this performance—this selection—shows the way forward for Klopp and his squad.